Cheer on the ponies at this annual competition, which is the last leg of thoroughbred racing’s Triple Crown. 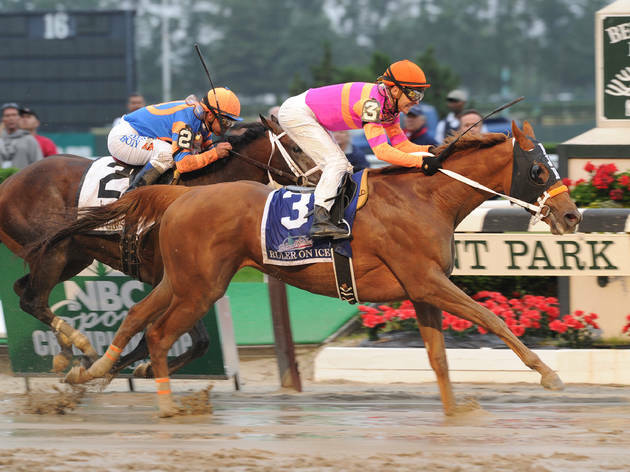 The annual running of the Belmont Stakes will be a little more festive than usual this year, as the entire horse-racing world—and plenty of casual onlookers—watches I’ll Have Another try to complete his Triple Crown. The thoroughbred is the first three-year-old to attempt the feat since Big Brown in 2008; the last competitor to accomplish it was Affirmed in 1978. Prepare for a day at the races by donning your finest chapeau, heading to the park early and grabbing a Daily Racing Form for expert betting advice. Make sure to pace yourself, since the main event starts at 6:30pm.